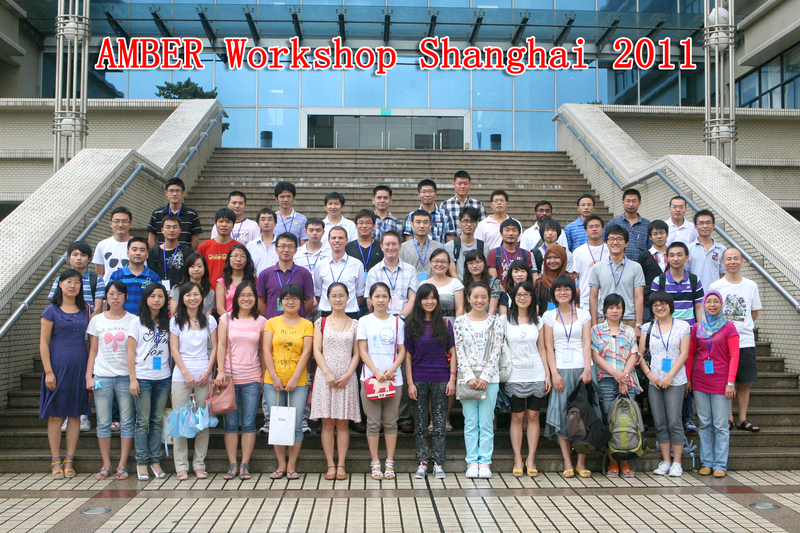 The first AMBER workshop in Asia has taken place in August 2011 in Shanghai, China. Below is a group picture of all instructors, organizers and participants. This five day workshop aims to introduce researchers in the field of molecular simulations to the broad collection of computational tools implemented in the AMBER and AmberTools software packages for molecular dynamics simulations. The workshop will consist of a series of short lectures followed by hands-on lab sessions that will cover the use of AMBER and AmberTools and the theory behind it. 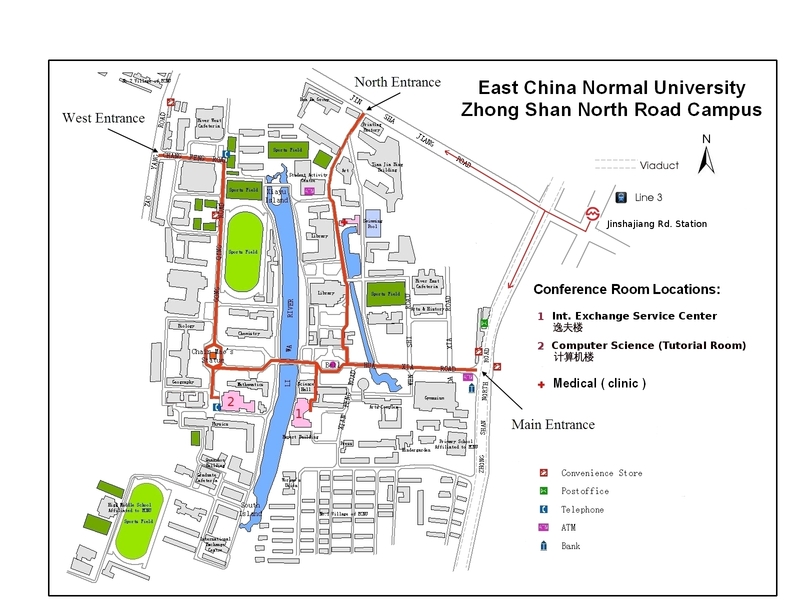 There will also be opportunities for discussions with the tutors for advice with specific research problems. AMBER (an acronym for Assisted Model Building with Energy Refinement) is a family of force fields and programs for classical and mixed quantum/classical (QM/MM) molecular dynamics simulations of biomolecules originally developed by the late Peter Kollman's group at the University of California, San Francisco. It is maintained by an active collaboration between David Case at Rutgers University, Tom Cheatham at the University of Utah, Kenneth Merz and Adrian Roitberg at the University of Florida, Carlos Simmerling at Stony Brook University, and Ross Walker at the University of California, San Diego. Attendees consist of graduate students and postdocs as well as young faculty members who have limited experience in molecular dynamics simulations and/or the AMBER and AmberTools software packages and would benefit from an introductory workshop that also covers advanced topics and the latest features in the AMBER software, including GPU acceleration.